You are here: Contests / Kelsea’s Nominated for a CMA Award! Kelsea’s Nominated for a CMA Award! Last week, the CMA announced the nominees for the 52nd CMA Awards and Kelsea’s been nominated for “Female Vocalist of the Year!” The show will be here before you know it and that means a new red carpet look! Until then, we want to know what’s been your favorite KB red carpet look yet? 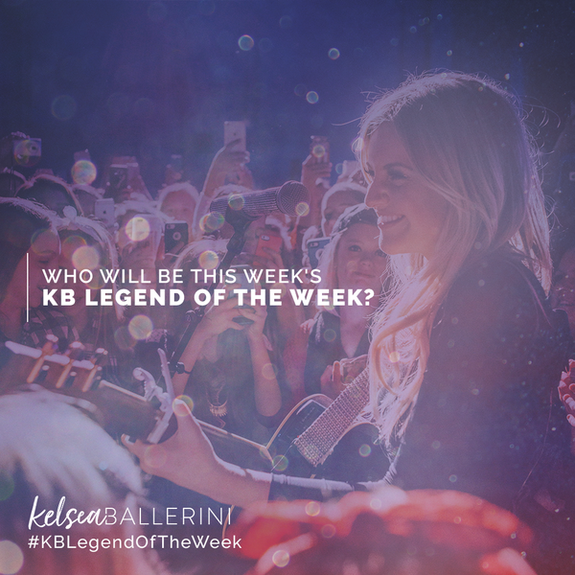 Post yours for your chance to be featured as this week’s #KBLegendOfTheWeek! Bonus points if you tweet your favorite using the hashtags #BestKBRedCarpet and #KBLegendOfTheWeek. Who’s excited for November 14th?! I loved when Kelsea wore the bright fuchsia dress to the CMT awards! I really loved Kelsea's dress from the 2015 CMA Awards. That dress was beautiful and had the perfect amount of sparkle on it. I also really loved her 2017 ACM Awards dress. It was a fun dress and a great color for Kels.